I've had to use the watering can a lot recently! The card was constructed in CAP2 using an image and paper from Debbi Moore's Shabby Chic Garden CD and a paper and butterfly from my Rainbow Butterflies Digikit. I love this Caroline, a beautiful image and lovely colours. First off the mark to join us again at CD Sunday this week. Hello Caroline. I love the colours you have used for this. The style of watering can reminds me of childhood days and 'helping' in the garden lol! A lovely card Caroline - that's just like the watering can my dad had. Thank you for joining in this week. 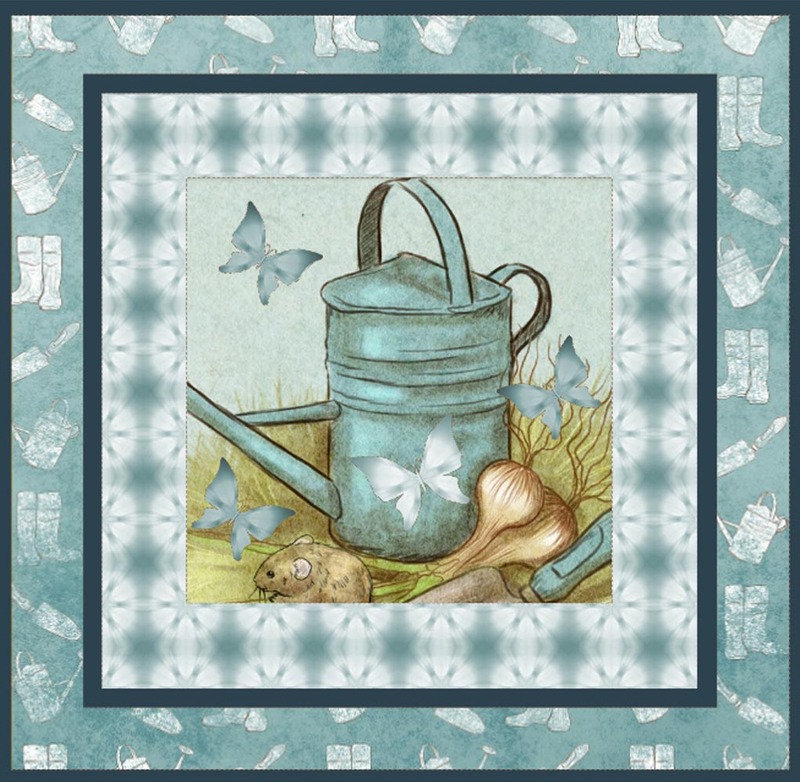 A gorgeous card Caroline, plastic watering cans are just not the same as the old tin ones. Thanks for joining in at CD Sunday this week. Lovely card Caroline. A good old fashioned watering can.